On 1 December 2011, Hopton Castle was officially opened to the public by HRH The Duke of Gloucester KG GCVO: more about the event and pictures on the NEWS page. This romantic ruin is all that is left of the medieval Hopton Castle, besieged in a notorious battle of the English Civil War. In 2006, after years of effort, the Hopton Castle Preservation Trust secured £1million+ from Heritage Lottery fund and other sources which has allowed the castle and its surroundings to be purchased and repaired and access to be provided for visitors. The main funder for the major project was the Heritage Lottery Fund; English Heritage also made a significant contribution and both organisations provided invaluable expertise and advice; support also came from a variety of local, national and European sources. Since the preparatory stage, local enterprises have been generous with sponsorship and donations in cash or in kind. (For more information on funding, please contact Tom Baker, details below). Admission and illustrated leaflet are FREE. Now that the major funding has ceased, the Trust will need to raise an estimated £3000 annually from grants and donations to cover the costs of maintenance and insurance. Trustees and members provide their services and support free. The Trust is grateful for their continuing support and for that of all Hopton Castle's friends in the area and beyond. There is more to be done: for more on this and on funding see 'How we got there' in the NEWS section. If you wish to know more or find out how to contribute to the Trust's work, please contact the Secretary. You may do so directly (see below) or by using the Contact Form. 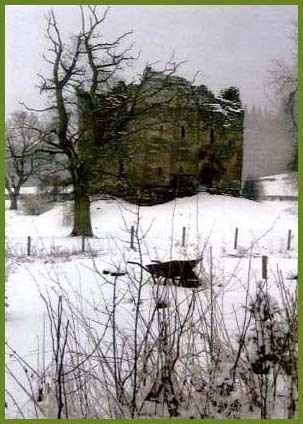 Website content copyright © 2009-2014 Hopton Castle Preservation Trust. All rights reserved.